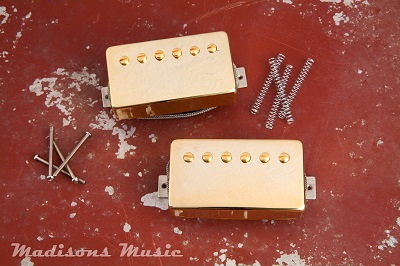 Crystal Clear Pickups 70's LP Custom Inspired Humbuckers. Hand wound with a vintage style 42 gauge wire. We use a mismatched coil and leave these un potted. The pickups offer defined note deffinition and expansion. The coils are slightly underwound, allowing the pickup to break up slightly earlier. Great through a amp with plenty of head room! We used a '60's hand wired Plexi when trying to find the sweet spot with these.. Bright, crisp, and very un-compressed!